The use of this site is governed by the Terms and Conditions of Use set forth below and elsewhere on the site as indicated. For terms governing shipping, returns and payment, please refer to our Frequently Asked Questions page. Please read the Terms and Conditions of Use and the Help page carefully. By using this site, you agree to these Terms and Conditions of Use. If you do not agree to these Terms and Conditions of Use, you may not use the site. Contactlensxchange reserves the right, at any time, to modify, alter, or update this Disclaimer and these Terms and Conditions of Use, and you agree to be bound by such modifications, alterations or updates. You hereby certify that you have a valid prescription for the contact lenses that you are ordering. 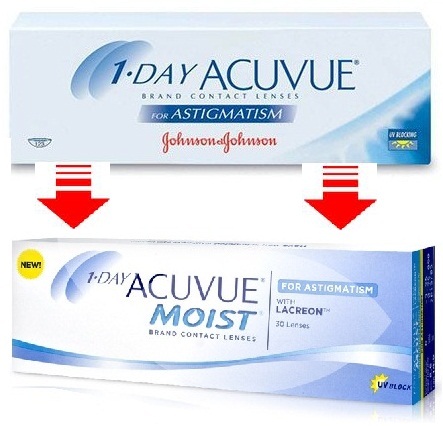 You represent and warrant to Contactlensxchange by placing an order that your information you enter into the Site is valid and true and matches exactly your prescription as provided by your eye care provider. You further certify that you will renew your prescription in strict accordance with your eye care provider's suggested regime. 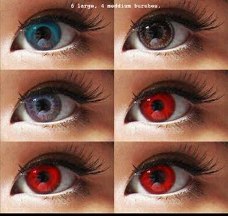 You understand that contactlensxchange will not fulfill your order unless you have a valid prescription. You hereby consent to our contacting your eye care provider, if necessary, to verify your prescription information and any other necessary information. You are responsible for the accuracy of your own prescription power hence update your prescription carefully. We have made every effort to display as accurately as possible the colors of our products that appear at the Site. However, as the actual colors you see will depend on your monitor, we cannot guarantee that your monitor's display of any color will be accurate. We have attempted to be as accurate as possible. However, we do not warrant that the product descriptions are accurate, complete, reliable, current, or error-free. Most picture shown at the site are graphic illustration and may not represent the actual color used hence customer must exercise his or her own discretion. You may return any products ordered by you and cancel the agreement without stating any reason for doing so, such within seven (7) working days following the confirmation of your order ("the Return Period"). If you return the products you are obliged to comply with the requirement of our Returns Policy (as above). You must return all the products in the resalable packaging provided with them. Between the date of your election to withdraw and the date the product is returned by you to us you shall bear all risk in keeping the products safe, secure, and free from loss or damage. 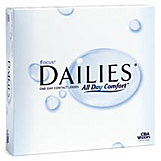 You acknowledge that pursuant to the Copyright and Legal Disclaimer and Terms and Conditions of Sale, which you accepted, no responsibility or liability can be assumed by contactlensxchange.com, inc. or its affiliates, officers, directors, employees, or agents, relating to your purchase of contact lenses from us. 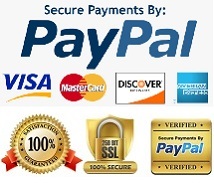 IF YOU HAVE NOT READ, CANNOT CONFIRM THE ACCURACY OF, OR DO NOT UNDERSTAND THE MEANING OF ANY OF THE PRECEDING STATEMENTS, DO NOT SELECT THE TERMS & CONDITIONS CHECKBOX ON THE PAYMENT PAGE. Copyright © 1995-2019 Contact lens xchange All rights reserved. We or our content providers own all of the content on our web site, including text, customized graphics, photographs, music, data, images, audio and video clips and software. 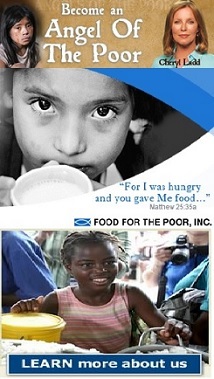 You may use the content on our web site only for your own personal, non-commercial shopping and information purposes. Copying, publishing, broadcasting, modification, distribution, and transmission in any way without the prior written consent of Contact lens xchange are strictly prohibited. Contact lens xchange reserves title and full intellectual property rights for materials downloaded or otherwise received from this web site. We hereby grant you permission to download, print and store selected portions of our content (as defined below). However the copies must be for your own personal and non-commercial use, you cannot copy or post the content on any network computer or broadcast it in any media, and you cannot alter or modify the content in any manner. You also may not delete or change any copyright or trademark notices. Contactlens xchange, as well as other names, button icons, text, graphics, logos, images, designs, titles, words or phrases, audio clips, page headers and service names used on this web site are the trademarks, service marks, trade names or other protected intellectual property of Contactlens xchange or its subsidiaries. They may not be used in connection with any third party products or services. All other brands and names are the property of their owners. Contactlens xchange is committed to offering all of our customers the lowest prices on brand name contact lenses without sacrificing the highest standards of customer service. As a result we have developed a variety of emails to help personalize your experience - from reminders for when your current lens supply is due to run out to regular newsletters filled with additional savings and information. If at any time you decide that these additional services are not helpful for you, you can choose to no longer receive these emails. All you need to do is click on the “Email Preferences” link on Your Account page. The page will display a list of emails you are set to receive, you can choose which ones are important to you by checking or unchecking the boxes beside each description. WE PROVIDE CONTENT ON THIS WEB SITE AS A SERVICE TO YOU, OUR CUSTOMER. OUR WEB SITE CANNOT, AND DOES NOT, CONTAIN INFORMATION ABOUT ALL MEDICAL CONDITIONS. IT MAY NOT CONTAIN ALL INFORMATION THAT IS APPLICABLE TO YOUR PERSONAL CIRCUMSTANCES. THE CONTENT IS NOT INTENDED FOR DIAGNOSIS AND SHOULD NOT BE USED AS A SUBSTITUTE FOR CONSULTATION WITH YOUR PHYSICIAN. THE CONTENT OF THIS WEB SITE, THE SERVER THAT MAKES IT AVAILABLE, AND THE SERVICES AND PRODUCTS WE PROVIDE ON OUR WEB SITE, ARE PROVIDED ON AN "AS IS" AND "AS AVAILABLE" BASIS WITHOUT WARRANTY OF ANY KIND, WHETHER EXPRESS, IMPLIED OR STATUTORY. CONTACT LENS XCHANGE EXPRESSLY DISCLAIMS LIABILITY FOR TECHNICAL FAILURES (INCLUDING HARDWARE OR SOFTWARE FAILURES), INCOMPLETE, SCRAMBLED OR DELAYED COMPUTER TRANSMISSIONS, AND/OR TECHNICAL INACCURACIES, AS WELL AS UNAUTHORIZED ACCESS OF USER TRANSMISSIONS BY THIRD PARTIES. TO THE FULL EXTENT NOT PRECLUDED BY APPLICABLE LAW, CONTACT LENS XCHANGE, THEIR MEDICAL ADVISORS, SUPPLIERS, CONSULTANTS, DIRECTORS AND EMPLOYEES (COLLECTIVELY THROUGHOUT, "CONTACT LENS XCHANGE") DISCLAIM AND EXCLUDE ALL WARRANTIES WITH RESPECT TO ALL SERVICES, INFORMATION AND/OR PRODUCTS CONTAINED ON THIS WEB SITE, OR LINKED HERETO (COLLECTIVELY THROUGHOUT, "CONTENT"), EXPRESS, IMPLIED OR STATUTORY. THIS DISCLAIMER INCLUDES, BUT IS NOT LIMITED TO, ANY AND ALL WARRANTIES OF MERCHANTABILITY, FITNESS FOR A PARTICULAR PURPOSE, AND NON-INFRINGEMENT. CONTACT LENS XCHANGE DOES NOT WARRANT CONTENT TO BE ACCURATE, COMPLETE OR CURRENT. CONTACT LENS XCHANGE DOES NOT WARRANT THAT ITS WEB SITE WILL OPERATE WITHOUT ERROR, THAT DEFECTS WILL BE CORRECTED OR THAT THIS SITE OR THE SERVER MAKING IT AVAILABLE ARE FREE OF VIRUSES OR OTHER HARMFUL COMPONENTS. PRICE AND AVAILABILITY CONTENT, AS WELL AS OTHER CONTENT CONTAINED IN THE WEB SITE OR ACCESSIBLE THERE FROM, IS SUBJECT TO CHANGE WITHOUT NOTICE. THE CONTACT LENS XCHANGE WEB SITE INCLUDES CONTENT PROVIDED BY THIRD PARTIES AND YOU, OUR CUSTOMER. 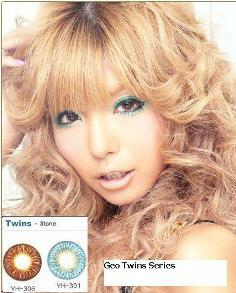 CONTACT LENS XCHANGE IS A DISTRIBUTOR OF SUCH CONTENT AND NOT IT’S PUBLISHER. CONTACT LENS XCHANGE EDITORIAL CONTROL OF SUCH CONTENT IS THE SAME AS THAT OF A PUBLIC LIBRARY OR NEWSSTAND. OUR THIRD PARTY SUPPLIERS MAY EXPRESS CERTAIN OPINIONS OR PROVIDE CERTAIN INFORMATION AND OFFERS. CONTACT LENS XCHANGE MAKES NO WARRANTIES AS TO THE COMPLETENESS, ACCURACY, TIMELINESS, OR RELIABILITY OF INFORMATION OR OFFERS SUPPLIED BY THIRD PARTIES AND PUBLISHED BY CONTACT LENS XCHANGE. CONTACT LENS XCHANGE DOES NOT GUARANTEE OR WARRANT THE PERFORMANCE OF ANY THIRD PARTY, INCLUDING ANY SUCH THIRD PARTY’S CONFORMANCE TO ANY LAW, RULE, REGULATION OR POLICY. CONTACT LENS XCHANGE DOES NOT WARRANT THAT INFORMATION, SERVICES, AND PRODUCTS CONTAINED IN THIS WEB SITE WILL SATISFY YOUR REQUIREMENTS OR THAT THEY ARE ERROR OR DEFECT-FREE. BEFORE USING ANY PRODUCT, YOU SHOULD CONFIRM ANY INFORMATION OF IMPORTANCE TO YOU ON THE PRODUCT PACKAGING. YOU ASSUME RESPONSIBILITY FOR THE ACCURACY, APPROPRIATENESS AND LEGALITY OF ANY INFORMATION YOU SUPPLY CONTACT LENS XCHANGE. THIS WEB SITE IS OPERATED IN SINGAPORE AND CONTACT LENS XCHANGE MAKES NO WARRANTY OR REPRESENTATION THAT CONTENT IS APPLICABLE OR APPROPRIATE FOR USE IN OTHER LOCATIONS. 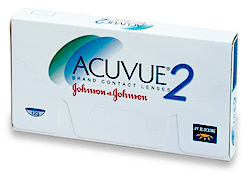 CONTACT LENS XCHANGE RESERVES THE RIGHT TO LIMIT QUANTITIES ON ALL ITEMS. EACH ADVERTISED ITEM MUST BE READILY AVAILABLE FOR SALE, UNLESS SPECIFICALLY NOTED ON CONTACT LENS XCHANGE. CONTACT LENS XCHANGE WILL ISSUE A RAIN CHECK OR PLACE A BACKORDER FOR ITEMS THAT ARE OUT OF STOCK. This Agreement shall be governed by and construed in accordance with the laws of Singapore, without regard to choice of law rules. Any litigation arising out of or in connection with the use of this web site shall be exclusively in state or federal courts located in Singapore.